In September, we were proud to send nine students to university from Bekoji. As some of our first ever students at the Bethany School in 2006, it was a proud moment to celebrate how far they had come and how their determination to rise above their circumstances had all been worth it. The nine students are at universities around Ethiopia, studying courses ranging from medicine to economics. This opportunity, along with their motivation and hard work, will help them achieve their dreams. Although sending children to university brings greater funding challenges as the costs are high, we’ve been joined by some amazing supporters who have helped meet the costs of their education. 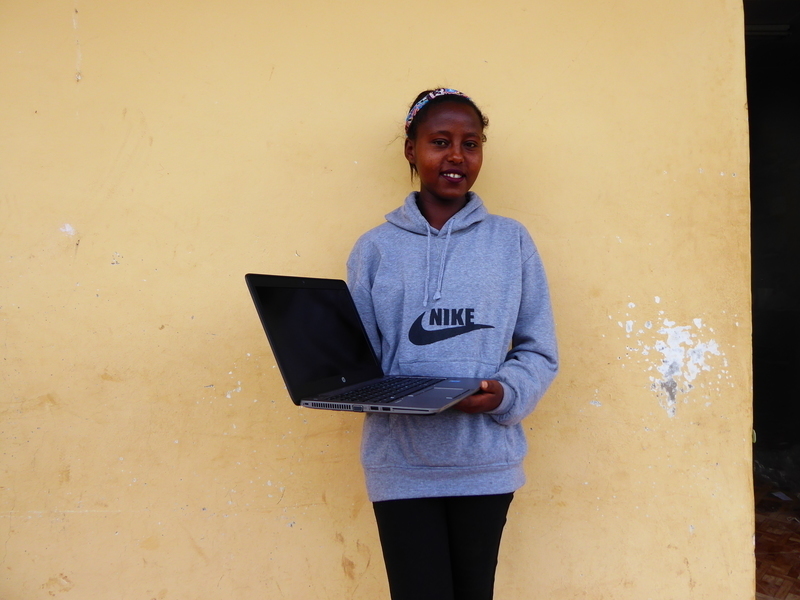 Our supporters’ kindness funded nine laptops for the university students. These young adults have grown up in poverty and without Stand by Me supporting their education and the help of their sponsors, they would never have received the chance to study at university. A laptop will help them make the most of this amazing opportunity as they exceed expectations, reach their aspirations and go on to do great things.